Publisher: Sony. Developer: Sanzaru Games. Genre: 3D Platformer; Stealth Adventure. 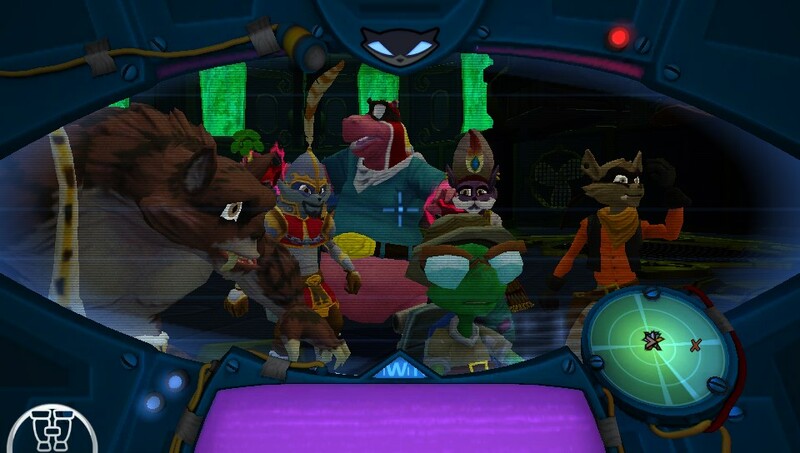 The triumvirate of PS2 Sly Cooper adventures may not have quite garnered the same levels of adoration afforded Jak & Daxter and Ratchet & Clank, but Sucker Punch’s stealth-laced platformers nevertheless impressed critics with their lively settings and an endearing set of protagonists. 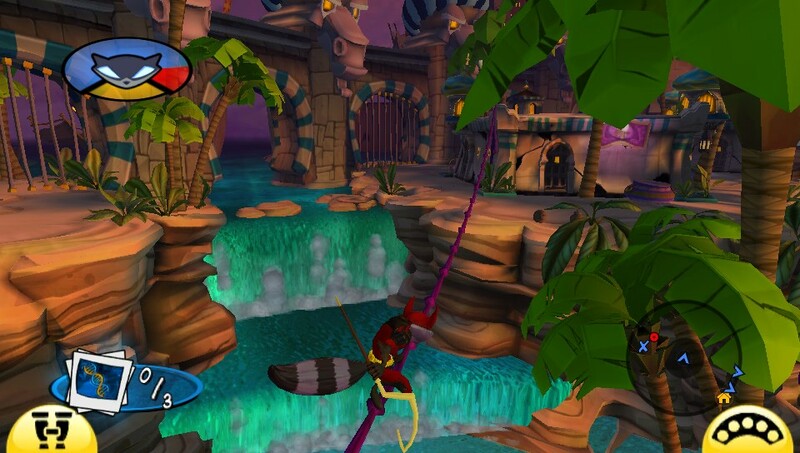 More recently found nurturing their excellent inFamous legacy, Sly’s creators opted to pass the reins of development on to Sanzaru for the raccoon’s 2013 return; a fourth outing, nearly eight years after his third. I know what you’re thinking: a series out of commission for almost a decade and a new developer at helm, the omens aren’t promising. However, Thieves in Time quickly comes to feel like an entirely natural continuation of the series; a lengthy gap, effortlessly bridged. This shouldn’t come as a great surprise though, as after all, Sanzaru did a sterling job of The Sly Trilogy HD collection. The raccoon’s latest outing captures the cartoon-caper feel and bit-of-everything gameplay that has proven a lasting and successful ethos for the series. It’s like Sly had never been away; jokes don’t feel forced, platforming challenges are diverse and, despite a sense of familiarity, the gameplay is sprightly and offers plenty of variety. Perhaps most heartening of all are the game’s excellent production values which, between a grand soundtrack, animated cut-scenes and expansive design ambitions, ensure that Thieves in Time is a full-blooded sequel in every respect. Sly’s latest job sees him travelling through time in pursuit of La Paradox, a power-crazed skunk hell-bent on rewriting history, and more specifically, writing the Cooper lineage out of it. 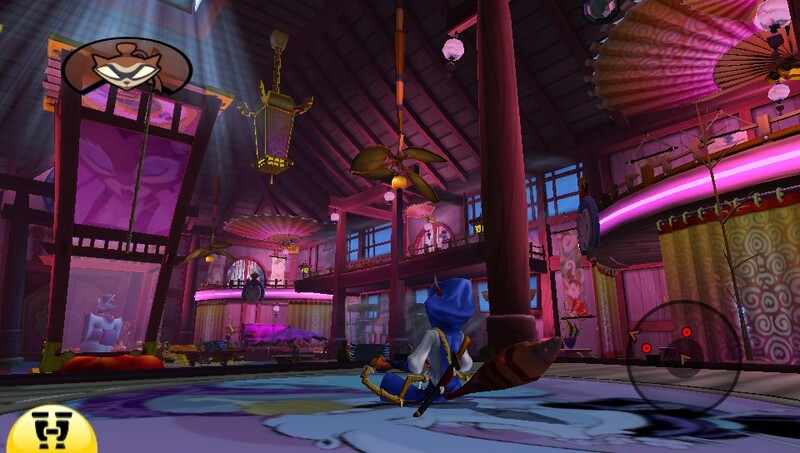 Along his pilgrimage, Sly visits five themed settings, including feudal Japan, the Wild West and Arabia. Within each, he and side-kicks Bentley and Murray must infiltrate the bad-guy’s hideout, complete a host of exploratory and undercover jobs (usually tailing and bugging the area’s antagonist) before freeing a Cooper ancestor. In doing so, he’ll learn a few new light-fingered tricks before the gang devise a plan for taking down the boss. For better and for worse, it plays very similar to previous instalments, which means you’re looking at a platformer that doesn’t seek to reinvent the wheel, but does offer a consistent, quality and varied gameplay experience that’s engaging from start to finish. The main story missions are really good, and it’s no exaggeration to say I didn’t want it Thieves in Time to end. Exploring each new world is great fun, and some jobs, such as the train heist in the Wild West that switches between characters are parts of the plan come to fruition, are fantastic. There’s a pleasant sense of freedom to the inFamous-esque rooftop ‘n’ rail navigation, where there are many ways for Sly to get from A to B, and it’s a shame there wasn’t a little more specific an emphasis placed on such platforming. Objectives, which include tailing a suspect, taking pictures of a foe’s hideout, bugging their abode, or altering campaign posters to make them look silly, offer a good bit of mischief for Sly to engage in, and the steady stream of modest but meaningful surprises mean there’s always incentive to push on. 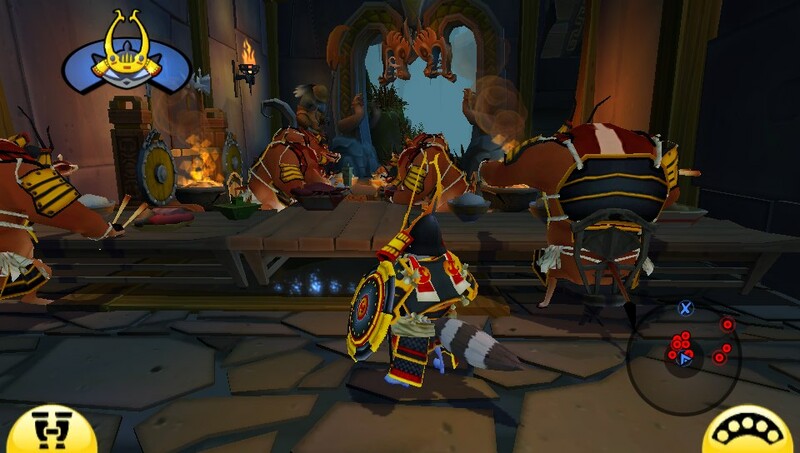 Indeed, variety is very much the name of the game, and its clear Sanzaru have placed great stock in the constant-change nature of the action, particular in the hands-on roles given to a host characters besides Sly. 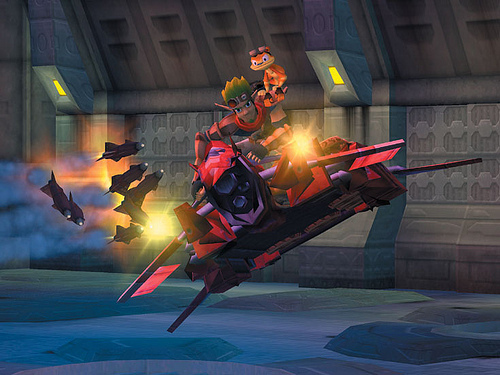 Series’ favourites Murray (who revels in some bombastic, fun combat sequences) and Bentley (a myriad of briefly diverting hacking mini-games) make a welcome return, and even Sly’s foil, Interpol’s Carmelita Fox, gets involved in the gameplay with some acceptable, if lightweight, blasting cameos. Special mention should also go to the boss fights. The final boss may seem a bit of an anti-climax, but the five main level foes are anything but. Harking back to the learn-and-adapt nature of early 3D platformer foes, these lavish events are reminiscent of Crash Bandicoot and Spyro the Dragon at their best, as each villain assaults Sly with a barrage of powerful attacks that must be negated through timing, observation and good ol’ fashioned trial-and-error. Singling out one is difficult, but Sly’s tussle with El Jefe is particularly memorable, simply because you aren’t prepared for the first boss to serve up such an epic encounter, so early on. Sadly, whilst the main adventure is decent, the collect ‘em up element is rather less satisfying. Whilst in principal, finding 30 bottles and a bunch of treasures scattered throughout each can be quite satisfying, trying to find one or two left hidden (particularly bottles) over such large areas, means exploration inevitably comes to feel a bit needle-in-a-haystack as you’re never given any guidance. As most of the main rewards are held back until you get every last bottle or every last treasure in a level is discovered, it can feel like a lot of time invested for not much in return. 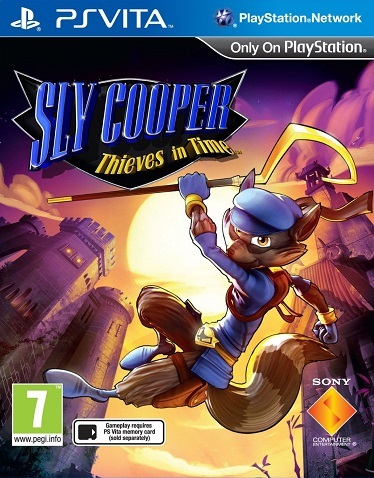 It should be noted that Thieves in Time is Sly’s first purpose-built foray into portable gaming, and the game offers encouraging signs of the 3D platformer genre working smoothly on Vita, with clear benefits stemming from its second analog stick (offering far greater camera control than similar such titles could on PSP), whilst the incorporation of some neat touch-screen and giro functions help to differentiate this classically console-centric experience from its PS3 counterpart. Understandably, there is the odd shortcut in design, with some more noticeable than others. The loading times are most troublesome; they’re just a little too frequent, and a little too protracted, for comfort. Vita Sly uses around one-sixth the space of the PS3 version, and presumably as a slight sacrifice, the numerous, beautiful animated video sequences betray heavy pixelating and blurring whilst in motion. Nevertheless, the game on the whole looks really good. 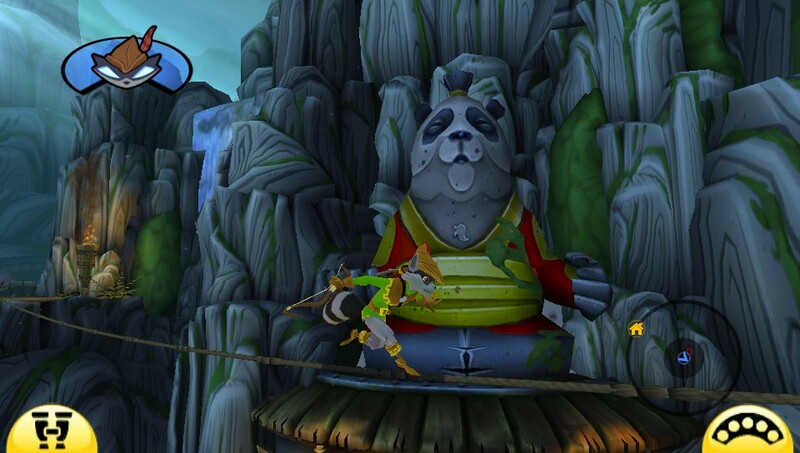 Its cartoon vistas, particularly Japan and the Ice Age level, brim with colourful embellishments whilst the characters and foes really look the part. The game’s fantastic draw distance is another sign of technological boundaries being challenged; there are times when Sly can climb a tower or tall pole and admire the scenery for some considerable distance around, evoking oblique but favourable comparisons with Assassin’s Creed. 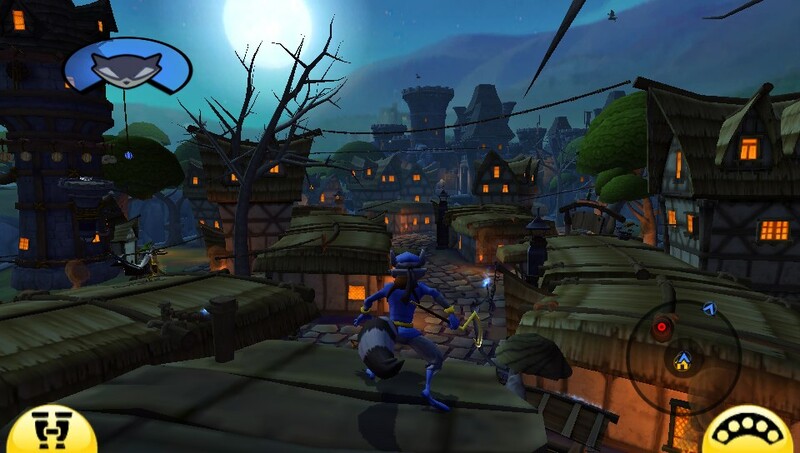 Sly Cooper: Thieves in Time won’t disappoint fans of the series. An inviting, vivid game world populated by amusing characters and light-hearted hi-jinks, Sanzaru’s platformer boasts strong audio, visual and gameplay credentials and a constantly-changing gameplay landscape that typically fires out more hits than misses. Ill-judged collectible searches make for a disappointing post-completion trawl, but for Vita fans hoping for a blockbuster adventure with all the trimmings, then this is a really good effort. Sly may have to wait a little longer before joining the ranks of the gaming elite, but after another sound showing, the raccoon is quietly starting to amass a strong portfolio.